Book our fantastic dhol player’s for your event. 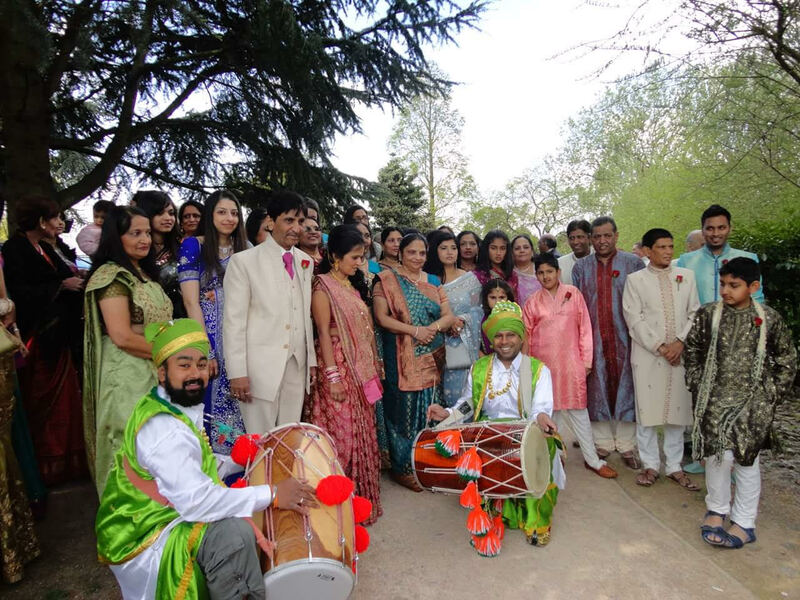 Catering for all events including weddings, mehndi’s, walimas, birthdays and much more. We are reliable and highly experienced with over 10 years experience. 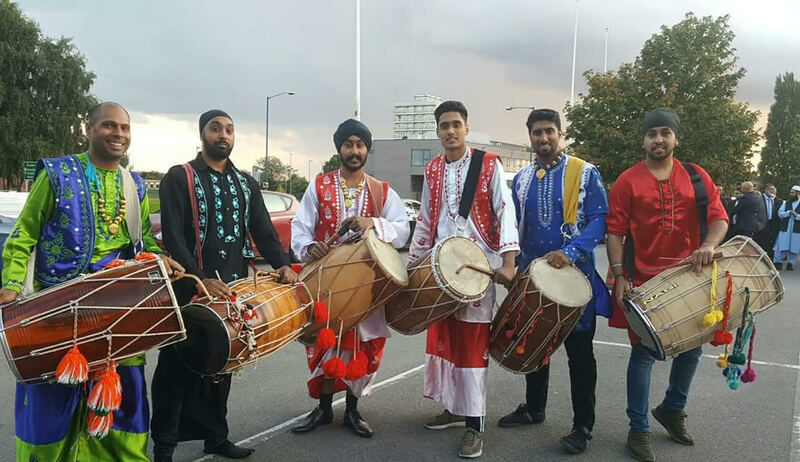 Manchester dhol players are Indian bhangra dhol players providing the best in Asian entertainment for weddings, mehndi’s, walimas, birthdays and much more. 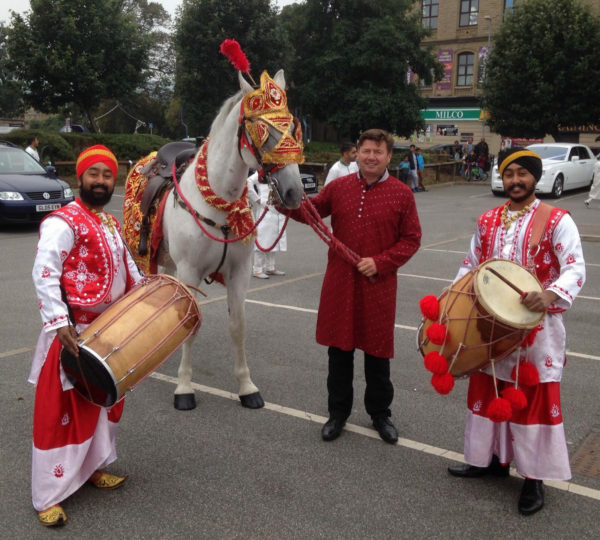 We have over 10 years experience in providing reliable, entertaining and quality dhol players. Manchester dhol players have featured on some of the biggest stages and also on Tv such as Cbeebies, Children in Need and ‘How To Do It‘. We cater for any event big or small and can provide additional services such as Bhangra dancers and DJ services. 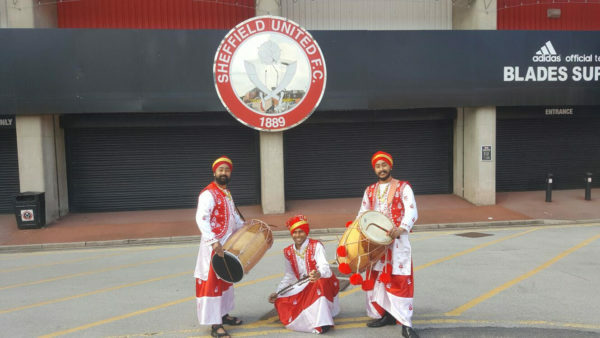 Manchester dhol players are based in Manchester and cover the whole of the northwest including Bradford, Blackburn, Bolton, Oldham, Rochdale and Leeds. Our dhol players come in traditional Bhangra outfit or smart clothes . 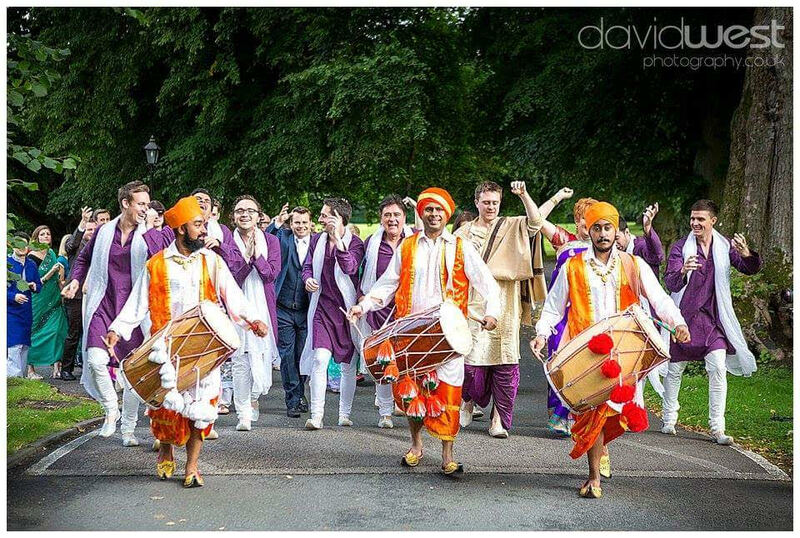 We have a team of Dhol players that regularly practice together to ensure we rock the the crowd. So Book now to avoid disappointment as we are in demand. 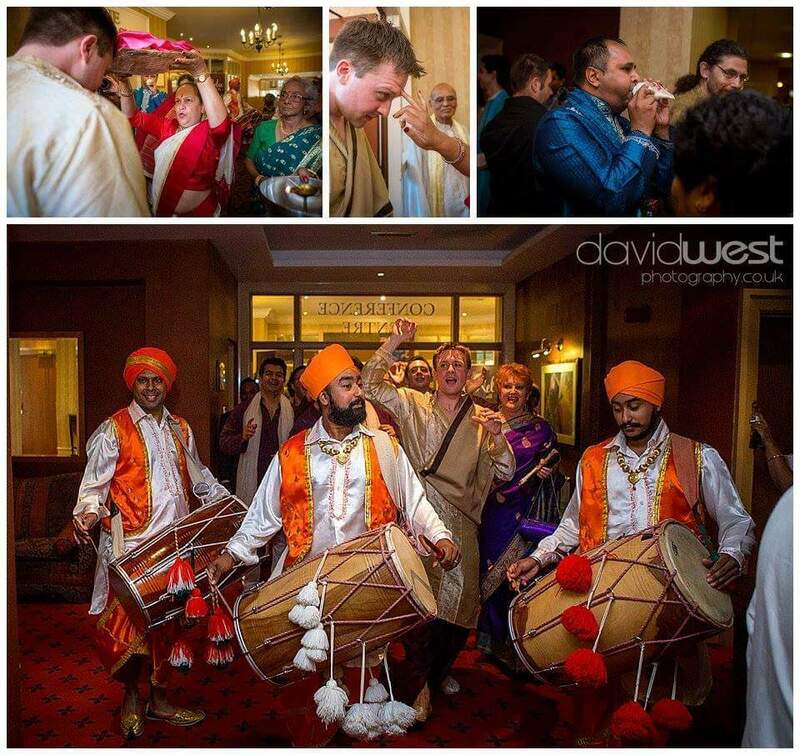 The dhol is a drum which is the key percussion instrument in bhangra music. 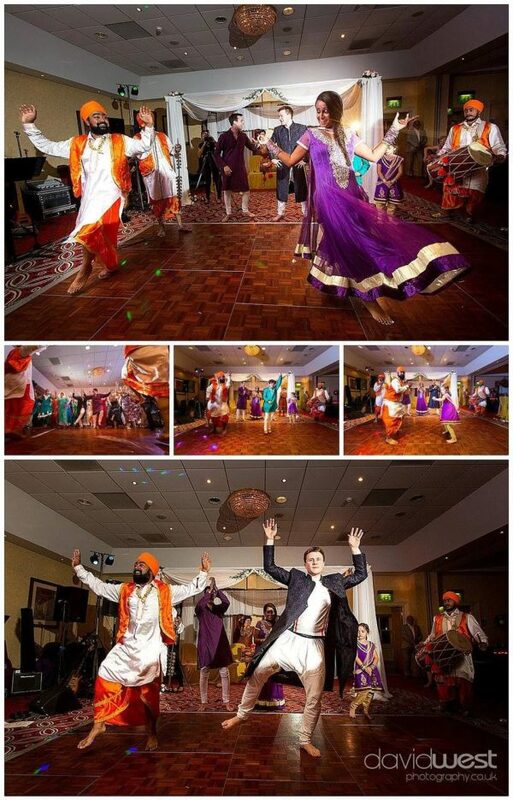 It’s energetic beats are played during bhangra dancing. The dhol is played using one or two wooden sticks, usually made out of bamboo and cane wood. 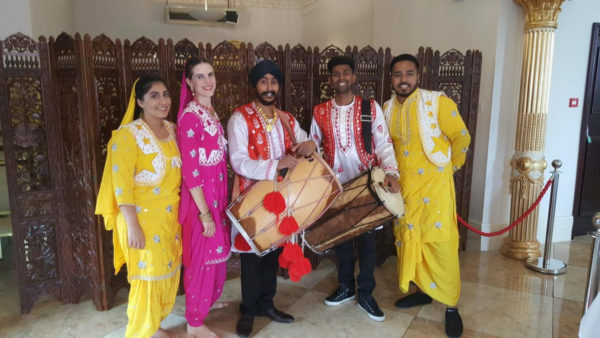 The stick used to play the bass side of the instrument, known as the dagga in Punjabi, is thick (roughly about 10 mm in diameter) and is bent in a quarter-circular arc on the end that strikes the instrument. The other stick, known as tihli, is much thinner and flexible and used to play the higher note end of the instrument. 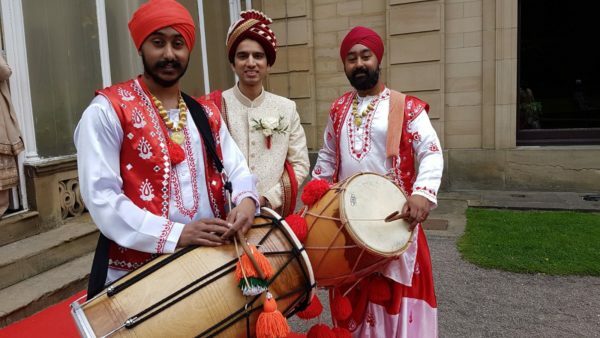 The dhol is slung over the neck of the player with a strap usually made up of woven cotton. The surface of the wooden barrel is in some cases decorated with engraved patterns and sometimes paint.